At Freemen's, we take your privacy very seriously and will only collect, store and process your personal information in the way and for the time periods stipulated in the School’s privacy notices below. Please do take the time to read these targeted privacy notices. The intention is that each privacy notice is used as a stand-alone document, introduced and covered by the paragraphs above. This annex should be read in conjunction with the introductory paragraphs in the covering document. The italicised paragraphs in red refer to guidance from the ICO on the compilation of privacy notices. It is not usually necessary for data to be shared with other countries. The exception to this will be international trips that the school organises, should this be envisaged for your child, you will be contacted for your consent, the consent will be limited in time and content if it be required. We work with an approved list of overseas agents who we have agreed to the school’s precautions and systems for dealing with data. If your child is applying to the school through an agency overseas and we are not clear that you have given us consent to deal with the agency, we will contact you directly to request it. The ICO helpline is 0303 123 1113. A template letter, should you need it is at the appended to this notice. This annex should be read with the introductory paragraphs in the covering document. The paragraphs in red refer to guidance from the Information Commissioner’s Office (ICO) on the compilation of privacy notices. The red sections are the sections that the ICO needs the school to comply with in its dealings with you. Data will be processed for the purposes of allowing you to make the best of your time at City of London Freemen’s School. The school will therefore have what is called a “legitimate interest” for processing basic personal data and sensitive personal data. The data the school holds will be the minimum it requires to allow you to thrive in your years here. 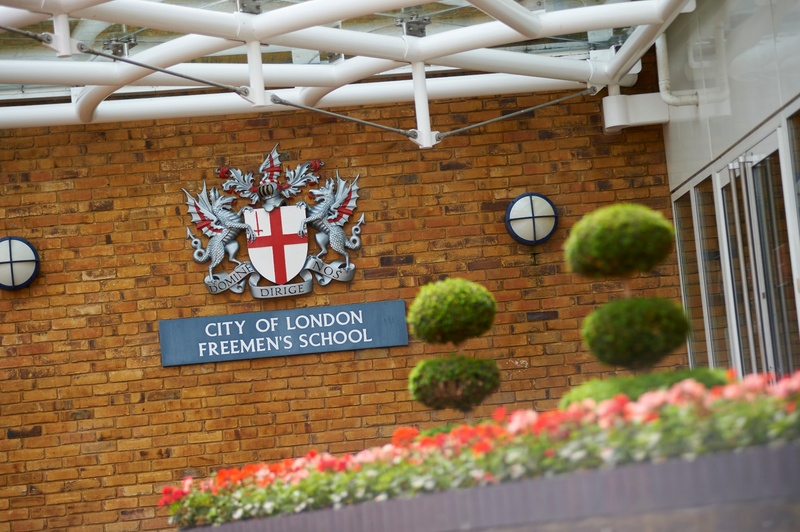 We see the provision of personal data as necessary to properly manage your time at City of London Freemen’s School and for the school to fulfil its obligations to you. This annex should be read in conjunction with the introductory paragraphs in the covering document. The italicised paragraphs in red refer to guidance from the ICO on the compilation of privacy notices. Data will be processed for the purposes of responding to requests for information about joining the Board of the school and the school will therefore have a “legitimate interest” for processing basic personal data and, if necessary, sensitive personal data. The data the school holds will be the minimum it requires. The retention period for data on governors to be held will be 25 years. [or as detailed in the school’s retention policy]. We see the provision of personal data as necessary to safeguard you and the school as it will allow the necessary checks to be made. Should you give consent data will be processed for the purposes of maintaining an accurate record of those who were educated at City of London Freemen’s school. The school will process only the minimum personal data to achieve this purpose. It is not necessary for data to be shared with other countries. The exception to this will be international trips that the school organises. Should this be envisaged for you, you will be contacted for your consent; the consent will be limited in time and content if it be required. The retention period for employee data will be for seven years and / or be modified by any other legal obligation the school finds itself under.